The poetess Rengetsu, 1791-1875, is the subject of two books by John Stevens (2005, 2014). These poems were found on www.RobynBuntin.com, translation by John Stevens, ed. by Okunomichi. Page numbers of the poems indicate the pages of the books on which they are found. 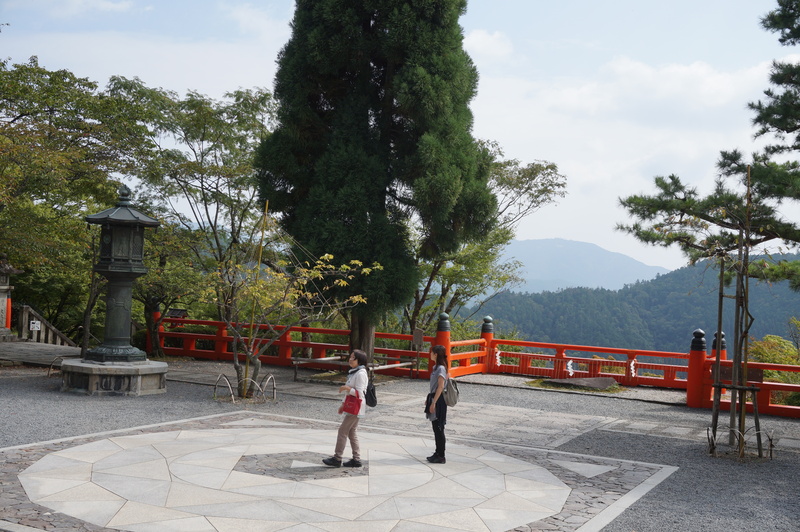 On Mount Inari today, as in times past, worshippers at the Festival of the Horse carry sacred branches of cedar home as a good luck charm. Along the eaves of my hut the voice of a koto searching for the right tune mingles with the sound of the wind blowing in the pines. It seems to be a cloud of smoke but as I come closer to the old house of my ancient village I see it is a billowing willow. Do not fall behind, run, run faster! [we yell for our favorite horse:] even the hototogisu on Kamiyama seem to join in the cheer. as it is being sharpened for tomorrow’s work. has yet to enter Akishino Village. In the fields, in the mountains I was enthralled, so enthralled; on the way back home the autumn moon accompanied me all the way to my bedroom. Wearing only moonbeams as my hat sleet begins to beat down, my sleeves too gradually become covered with pure white snow. night deepens, first frost settles on my sleeves. The bow-shaped [half] moon reminds me of the brave warrior in the battle of Yashima Bay who would not let his bow float away in the tide. Waiting for the first call of a hototogisu in the white light of the morning moon. sacred sakaki trees mingle with cherry blossoms. Through the window of my hut: the sound of a koto searching for the right melody mingling with the sound of the wind blowing in the pines. Hear the timeless cry of a young crane— it is an ode to the dawning of a new age to last a 1,000 generations. This gentleman (bamboo) piles up knot after knot, year after year, flourishing quietly, an example to us. The world’s dust swept aside no concern about the future; in my hermitage I have all I need: the sound of the wind in the pines. Let us consider our aging and future happiness as twin needles from an auspicious pine. The tiny pines along the shore of Sumi-no-e have been appearing for how many generations? This entry was posted in Poetry, Rengetsu and tagged Tanka on 2014/12/31 by Okunomichi. Makoto Ueda, Far Beyond the Field: Haiku by Japanese Women, Columbia Univ. Press, 2003. This entry was posted in Haiku on 2014/12/31 by Okunomichi. 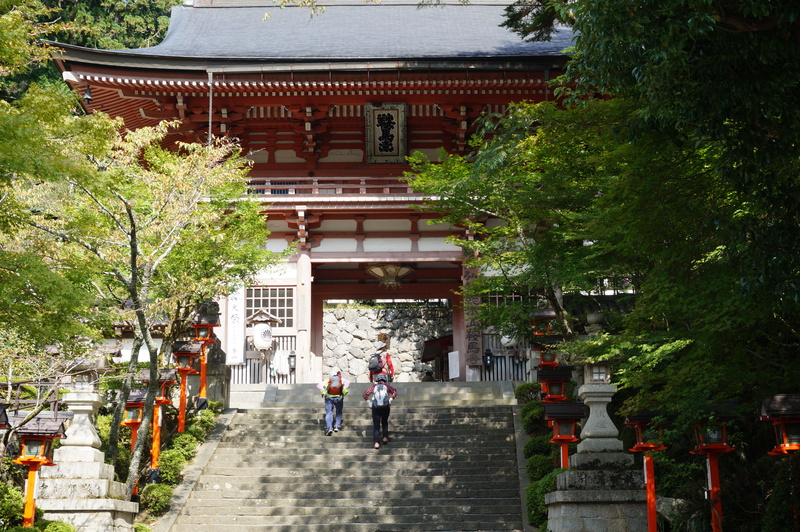 For over 1200 years, this temple has been important for protecting the palace of Heian-Kyo from the north. Located in the southern end of the mountain range of Wakasa Bay, in deep green forest, is Shizen-no-Hohko, Nature’s Treasure. These forests serve the people of Kyoto as their source of pure water. Therefore people respect the forest and appreciate the water. They feel awe of the kami and buddha spirits residing there. They pray for the sacredness of the place. The energy of life comes from this place and goes down to Miyako. 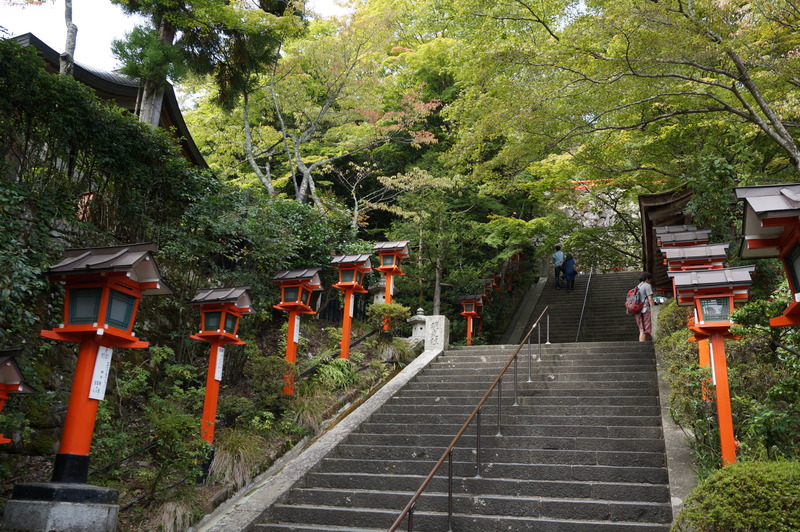 In the daily life of this mountain temple, we are surrounded by the verdant forest. We behold the appearance of the mountain, the color of the sky, the voice of the birds, and the changes of the four seasons. All these are teachings of heaven and earth without words. When with a clear mind we harmonize with heaven and earth, nature and people, and body and mind, we feel the Heart of Heaven and listen to words from earth, and we find real treasure. By being humble and respectful, being with nature, and becoming aware of the realm of Great Life energy, this is true happiness. Modern living and the uniformity of the daily life of people are far removed from nature, and we are so busy that we forget our real heart. While chasing after material comfort, it is hard to taste the deep joy of true abundance. When we go to Great Nature and inhale deeply the air of the forest full of energy, when we open our hearts and take off all the layers of sadness, joy, and troubles that we wear, then the light of the sun, the breeze of the forest, and the fragrance of the earth fill us with the Great Life energy of nature in both body and mind. Nature is our true home and the cradle that nurtures life. Nature’s forest teaches us that being born, existing, changing, and dying — these are the truths of life, the Law of heaven and earth. In the places where kami-buddhas reside, let’s leave everything to heaven and earth, leave the future to Mother Earth, and receive vitality! Prayer is the meeting of the energy of the universe (Heart of Heaven) and your own life energy. Nature’s forest is the place where all these energies come together. Going up the mountain on the zig-zag paths is seeking Boddhisatva-wisdom; going down is helping others. Heaven, earth, and Great Nature is one great living sutra. A single life was born on earth a long time ago. Then it took eons to attain countless life forms. Now there are many humans like me living here. And inside me is life from ancient times continuing to now. Connecting with many different lives and being one of them, living in the knot of a web of life, we cannot live by ourself. It is only we humans that cannot exist by ourselves. Heaven, earth, and nature — all things make it possible for me to live. Close your eves and picture life existing in time and space. This is the invisible bond of life, the net of jewels. This is the greatness of the resonance of life. I will call this the Net of Life in the Universe. The Net is the Buddhist term for a net of jewels displayed in a heavenly palace. This expresses the connection of everything resonating with each other in Amida Kyo Gokuraku Heaven. This explains the greatness of the Pure Land with the seven-layered net of jewels. In Kuramayama, we revere universal Great Life as Sonten. The main statue of Sonten has a net of jewels hanging in front of it representing the power of cleansing the impure, awakening to true wisdom. The power of correcting the wrong, the light of guidance to true wisdom and compassion, and the love are represented by three symbols. They are the Earth / Power, the Sun / Light, and the Moon / Love. Around these three symbols are different jewels that represent all the different people who are the nodes of the net. Making this place, Kurama Doujyo, solemn and majestic at the same time, this life connects with the golden thread of life that wraps around everything. You and I, the flowers, birds, insects, and even bacteria, are each one of the jewels in the net. This is the Teaching of the Net. When one of the knots in the net moves, the vibrations go in all ten directions of life. A single node of the net continues on to the world, and it vibrates to the entire universe. Each one of us has this power, and we want to have the awareness of this power. Our important shinmei mission is to connect with other humans and all life forms in the Net. When I ponder what energy makes me act on this mission, the answer is kokoro, the heart-mind. Kokoro is the origin of both words and action. you can see everything that has life from Universal Life. we receive life in this world. linking life from ancient times. together holding hands reverberating with Life. we are all living magnificent Life. Flowers survive the cold winter, then mountains turn a fresh green, and life shines in the early summer sun. Trees have different colors and shapes and yet they are all in harmony, making a beautiful and abundant forest which gives shade for people to feel calm and rested. Ancient people with their delicate sensitivity called the green color in the forest by different names: bush-warbler color, willow-brown, young bamboo shoots, young green, leaf-buds, green pine, light green, deep green, and so on. When we connect with trees, open our hearts to wild flowers, and feel and contemplate on these lives, we realize that the ancient people who thought of all these names must have connected with trees and wild flowers with warm and sensitive hearts. Nature’s scene is not uniform, and it always has variations with overall harmony. Surrounded by flowers and pointing to Heaven and Earth is the statue of the Buddha over which we pour sweet tea and celebrate the Buddha’s enlightenment. It is a heart-warming spring event and it provides an excellent opportunity for children to learn the true teaching. These days, everyone wants only material things and they want to fulfill their selfish desires. However, when we think of true joy, as human beings given life in these modern days, we should deeply understand the “Heaven and Earth” teaching and reflect on it. The wonderful power of the forest is born out of the big and the small, all the different plants living earnestly in all the different shapes and colors, mutually supporting each other. The sacred beauty of the natural forest shines out. The little flowers along this path have different colors and fragrance and characters, and so they are both interesting and precious. Many lives have been born from Great Life. None are the same. Each and every person is different; it is out of this difference that harmony is born, and the world of shining life is created. The world of shining life that includes every life is coming when people respect each other, recognize their differences, and live in harmony. There is no one the same as you. It is precious that I am me. the world shines with Great Life. you see the depth and grandeur of the world. visible and invisible are aspects of Life beyond life and death. everything around us is manifestation of Great Life Body. everything is, in fact, Sonten. the origin is the same Life. slowly and calmly watching the light of dawn. This article is a rendering of a chapter in the book, 古寺巡礼 Old Temple Pilgrimage, Kyoto, by 信楽 香仁 Shigaraki Konin, 貫主 Abbess of 鞍馬寺 Kurama Dera, 2007, pp 81-94. Presented by Okunomichi with the permission of the Abbess and the anonymous translators. This entry was posted in Kyoto, Mountains and tagged Kurama on 2014/12/16 by Okunomichi.